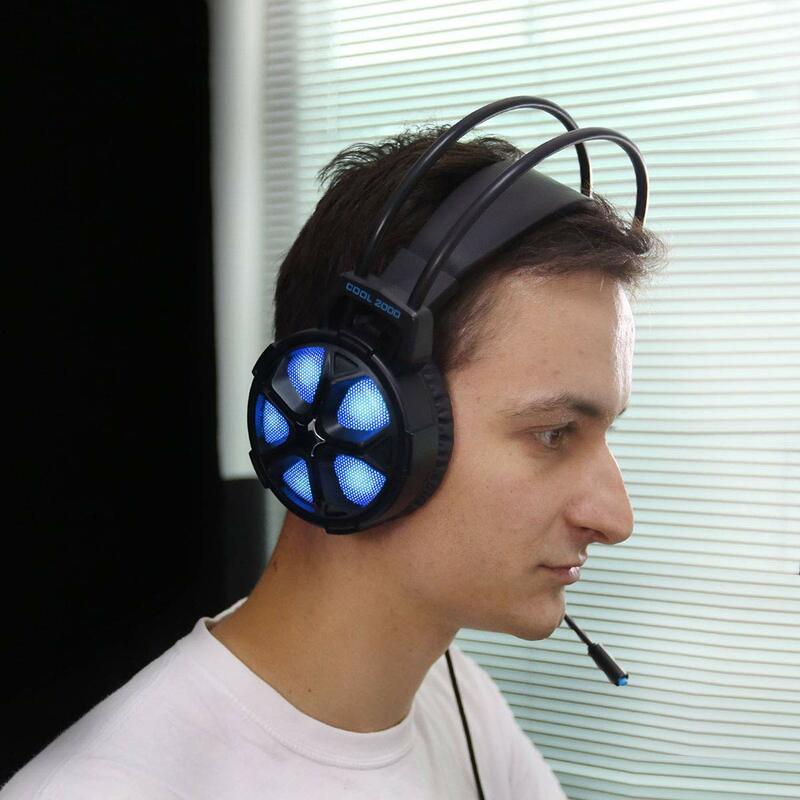 Multi-platforms - this gaming Headset works flawlessly on Xbox One Slim/ x, Nintendo Switch (audio only), PS4 and PC, so whatever platform you're playing on. Stereo sound - Designed with a wide frequency response of 20-20kHz, the 50mm driver provides incredibly strong bass and optimized gaming sound so you'll hear the details while enjoying. Noise-cancelling mic- the noise-canceling microphone keeps outside noise out and help you better get Lost in your game, movie, or music. The omnidirectional microphone ensures all-round sound pickup. Long lasting comfort - flexible, lightweight materials and PU leather ear cushions mean you never have to worry about headset fatigue shutting your game down before you're ready. Easy volume & lighting control- three dynamic lighting effects (constant, spinning and breathing) which can be switched by One button press on the left ear cup.